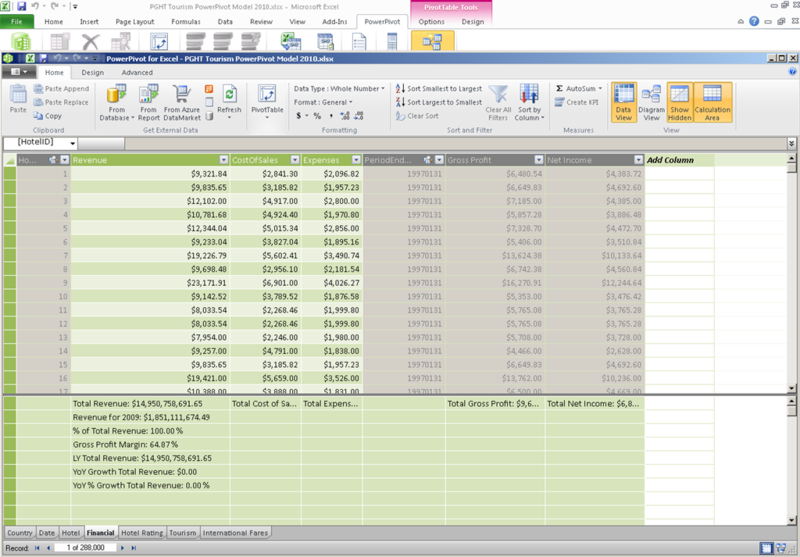 This entry was posted on August 9, 2012 at 7:43 pm	and is filed under PowerPivot, Reporting Services. Tagged: excel, power view, powerpivot, ssrs. You can follow any responses to this entry through the RSS 2.0 feed. You can leave a response, or trackback from your own site. Hi Dan, I bought the book and I was actually looking for something else when I found your site. When I go your SkyDrive it tries to open it instead of downloading it. I can’t figure it out. But hey, while I have you – you might be able to answer this issue I am having. I am working with a Reporting Services report (using SSDT 2012) – I want to bring across all of the data – then when I filter I want it done locally. So I tried to set up filters in the Group section and the Tablix section, yet it still takes as long as if I hit the server again. Does this make sense? Do you have a trick you can share? As far as SSRS that is how I would do it. One thing you could look at doing possibly is some caching of the data. Like in SSDT when developing cached datasets are created if you keep using the same parameters, you will see .data files created in the project folder. You can use BIDS Helper from CodePlex to easily remove these from the UI.